The service will communicate the airport and the city's train station with the Circuito de Jerez-Ángel Nieto, as well as with the various hotels in the city. 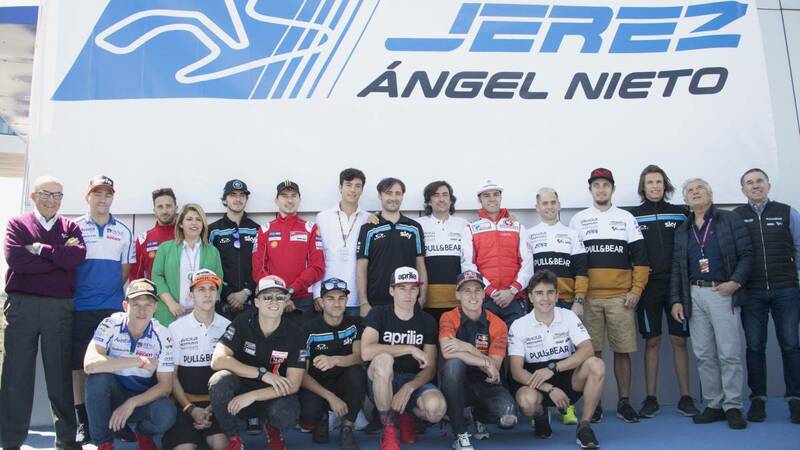 The Angel Nieto Foundation will launch a free adapted transport service with driver for people with reduced mobility on the occasion of the Spanish Motorcycle Grand Prix, which will be held from 3 to May 5 at Jerez. The service will communicate the airport and the city's train station with the Circuito de Jerez-Ángel Nieto, as well as with the various hotels where the users stay. The objective of the initiative is to bring the passion of the city closer. Motorcycle World Championship and the Spanish Grand Prix to people who, temporarily or permanently, have limited mobility without outside help, and help this group to enjoy their favorite sport. The Ángel Nieto Foundation has signed a collaboration agreement with Cirjesa, the company responsible for the management of the Jerez-Ángel Nieto Circuit, thanks to which this initiative will be carried out during the Grand Prix weekend in the Jerez capital. A Through this collaboration agreement, in addition, each attendee the Circuit may allocate one euro to support the social activity of the Angel Nieto Foundation, which has three objectives or foundational aims: to protect the legacy of Ángel Nieto, by spreading the values that accompanied him in his personal and professional life; help traffic accident victims, their families and other groups of people with reduced mobility; and promote motorcycling as a tool for social transformation.